The Blu-ray disc format not only provides an enhanced viewing experience but also provides elevated surround sound listening. 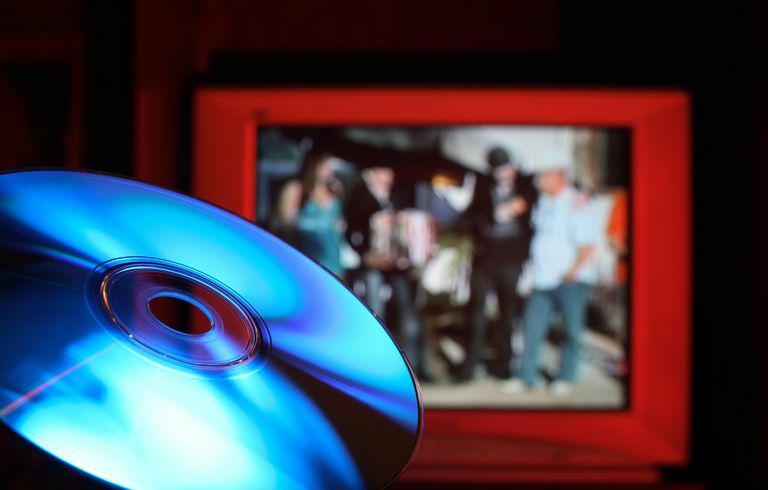 Blu-ray Disc players provide several setting options for audio and video output, depending on how you have your player physically connected to your home theater receiver. If you set the Blu-ray Disc player to output audio as PCM, the player will perform the audio decoding of all Dolby/Dolby TrueHD and DTS/DTS-HD Master Audio related soundtracks internally and send the decoded audio signal in uncompressed form to your home theater receiver. As a result, your home theater receiver will not have to perform any additional audio decoding before the audio is sent through the amplifier section and the speakers. With this option, the home theater receiver will display the term "PCM" or "LPCM" on its front panel display. If you select Bitstream as the HDMI audio output setting for your Blu-ray player, the player will bypass its own internal Dolby and DTS audio decoders and send the undecoded signal to your HDMI-connected home theater receiver. The home theater receiver will do all the audio decoding of the incoming signal. As a result, the receiver will display Dolby, Dolby TrueHD, DTS, DTS-HD Master Audio, Dolby Atmos, DTS:X, etc...on its front panel display depending on which type of bitstream signal is being decoded. The Dolby Atmos and DTS:X surround sound formats are only available from a Blu-ray Disc player via the Bitstream setting option. There are no Blu-ray Disc players that can decode these formats internally to PCM and pass that on to a home theater receiver. You have the choice as to which setting to use (Bitstream or PCM), and as mentioned above, either setting should yield the same audio quality (keeping in mind the Dolby Atmos/DTS:X exceptions). There is another factor to take into consideration: Secondary Audio. This feature provides access to audio commentaries, descriptive audio, or other supplementary audio tracks. If access to these audio programs is important to you, then keeping the Blu-ray player set to PCM will provide the best quality result. If you combine the bitstream and secondary audio settings, the Blu-ray disc player will "down-res" surround formats, such as Dolby TrueHD or DTS-HD, to standard Dolby Digital or DTS in order to be able to squeeze both types of audio signals into the same bitstream bandwidth. In this case, your home theater receiver will recognize the signal as standard Dolby Digital and decode appropriately. After you determine which audio settings you want to use to transfer audio from your Blu-ray Disc player to the rest of your home theater system, you also need to decide what type of connections you need to use. If you use either the digital optical or digital coaxial connection option from your Blu-ray disc player to your home theater receiver (handy if your home theater receiver does not have HDMI connections), you can also select PCM or Bitstream output options as well for those connections. However, in this case, while the bitstream output option can send a standard Dolby Digital or DTS 5.1 surround sound signal to your receiver for further decoding, the PCM option will only send a two-channel signal. The reason for this is that a digital optical or digital coaxial cable does not have the sufficient bandwidth capacity to transfer a decoded, uncompressed, full surround audio signal like an HDMI connection can. It must also be pointed out that digital optical/coaxial cables cannot transfer Dolby Digital Plus, Dolby TrueHD, or DTS-HD Master Audio in either bitstream or PCM form - HDMI is required. Although the above discussion focuses on Bitstream vs PCM with regards to Blu-ray Disc players, the same information can also be applied to Ultra HD Blu-ray Disc Players.